新しいタイプの人権侵害と暴力 Unprecedented Human Rights Violations: Oliveira, F.T. et al. "Transcranial magnetic stimulation of posterior parietal cortex affects decisions of hand choice"
Oliveira, F.T. et al. "Transcranial magnetic stimulation of posterior parietal cortex affects decisions of hand choice"
Oliveira, F. T. P., Diedrichsen, J., Verstynen, T., Duque, J., & Ivry, R. B. (October 12, 2010). 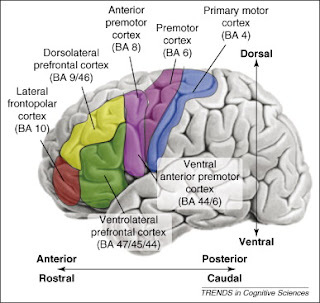 Transcranial magnetic stimulation of posterior parietal cortex affects decisions of hand choice. Proceedings of the National Academy of Sciences of the United States of America, 107, 41, 17751. The current results shed light on the mechanisms involved in selecting which hand to use when making a unimanual reach. 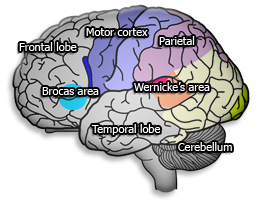 In experiment 2 we sought to directly test the hypothesis that the PPC[posterior parietal cortex] is involved in decision processes related to hand choice. By stimulating the caudal IPS, a PPC region associated with reach planning,we sought to selectively disrupt the plan associated with the contralateral hand and thus increase the likelihood of an ipsilateral reach. We were able to induce this bias when stimulating the left PPC. In summary, the current results provide strong evidence that decisions of hand choice involve a process that resolves a competition arising from the parallel engagement of action plans for both hands. Serial models in which hand choice is made at a higher cognitive level without activation of action plans for both hands might have predicted an increase in RT [reaching time] with TMS [transcranial magnetic stimulation] but cannot account for the shift in hand use. Rather, the results indicate that motor planning is initiated before response selection is made. Indeed, the emergence of decisions and actions can be viewed as a dynamic process in which many possible motor responses are competing at any one time, with the accumulation of evidence in favor of each candidate response continuously changing as a product of the interaction of a personal history and the current context. 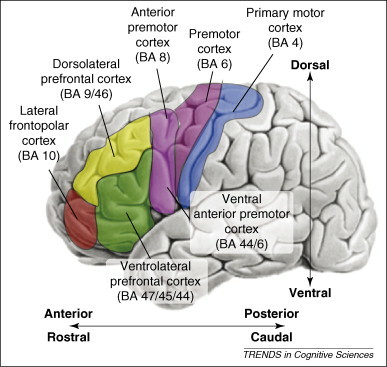 Although it is likely that a broad network of cortical and subcortical areas are involved in different aspects of decision-making, the present results highlight the critical role that the PPC has in transforming sensory information into free choices of action.